New Years with a fresh new start to keep you on your toes and modeling ideal habits for those you love. Follow these basic steps to reduce your cholesterol and blood pressure, impacting and leading to a stronger lifestyle. In brief, it’s important to know very basic facts. The body’s liver makes its own cholesterol everyday. Cholesterol is a key factor the functionability of our hormones and to the elasticity of our veins and arteries. HDL is a healthy cholesterol needed to keep our hormones, organs, muscles, veins and arteries operating properly. LDL is an unhealthy cholesterol when it becomes oxidized. Oxidation of LDL is due to free radicals floating around in our body which are O+ broken off from degenerating protein called homocysteine. The positively charged oxygen then attaches itself to LDL cholesterol and plaque begins to form in your arteries and veins. Hence forth, why anti-oxidants from fruit and vegetables need to be a part of ones daily intake, to clean up the free radicals. Check the grocery cart before before bringing home the bacon! LDL cholesterol is established through nutrition and found in hydrogenated fats and animal fat. Hydrogenated fats can be found in margarine, shortening, cookies, and oil-frying. 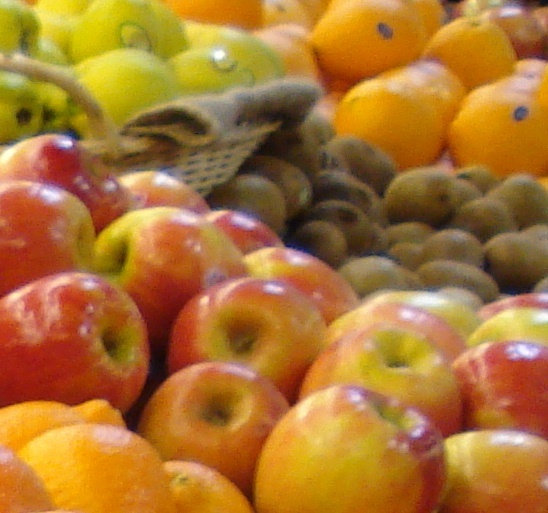 By switching grocery purchases of high caloric fats for fresh seasonal fruits, you are already stepping up! Walk 30-60 minutes five times a week for a total of 2 1/2-5 hours per week. Walking twice a day for 20-30 minutes each time will increase your metabolism, strengthen bones, muscles and keep your heart pumping…increasing the HDL cholesterol, which removes LDL cholesterol from your arteries. Consume foods that increase HDL levels: Omega-3 rish foods: Extra Virgin Olive Oil, Canola, Walnuts, Almonds, Fish and Fiber. Fruit and Vegetables , total of 9 1/2 cup servings a day. Please refer to: Daily Serving Guidelines. Beverages that assist in increasing HDL levels: Cleanse your body with lemon water or green/black/white tea throughout the day. Wine and alcohol in moderation; 1 glass for a woman, 2 glasses for a man. Reducing cholesterol levels puts into place the first step to reducing blood pressure. It is important to note that attention to reducing salt levels and increasing potassium intake will impact a decreased blood pressure as well. By establishing a plan to healthier eating and daily exercise, you will feel stronger sooner than expected! It plays a part in the synthesis of vitamin D, estrogen, testosterone, progesterone and other various hormones. Properly structures membranes allowing for the function of proton, hydrogen and sodium ions. The insulation of the brain’s myelin sheath also comes from cholesterol and maintains the proper conduction of impulses. 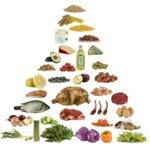 There is little use for animal cholesterol which comes from dairy, meat and fish products. Cholesterol from animals is responsible for increasing LDL cholesterol known as the non-healthy cholesterol, leading to blocked or hardening of arteries. Plants have very little cholesterol which comes from phytosterols, (flax seed, peanuts and olives), responsible for competing with LDL cholesterol and reducing it’s negative impact on the body. HDL is a healthy cholesterol needed to keep our hormones, organs, muscles, veins and arteries operating properly. 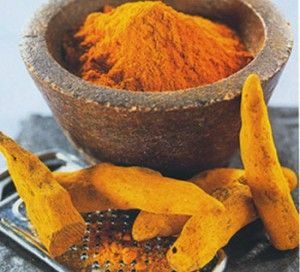 It works as a sponge, collecting loose cholesterol within the blood stream. Consumption of fruits, vegetables and whole grains is critical to lowering blood cholesterol levels and in turn limits excess cholesterol absorption in the intestines. 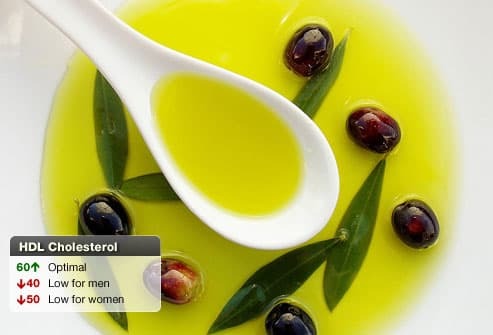 Cholesterol from phytosterols found in seeds and olives is considered effective in lowering LDL cholesterol and known to be linked to healthy cholesterol or HDL which should be measured between 40-60. OILS 2 tbsp per day Extra Virgin Olive Oil is a monounsaturated fat and contributes to raising HDL (healthy cholesterol) and causes LDL cholesterol to be reduced. LDL is an unhealthy cholesterol only when it becomes oxidized. Oxidation of LDL is due to free radicals floating around in our body which are O+ broken off from degenerating protein called homocysteine. The positively charged oxygen then attaches itself to LDL cholesterol and plaque begins to form in your arteries and veins. Hence forth, why anti-oxidants from fruit and vegetables need to be a part of ones daily intake, to clean up the free radicals. LDL cholesterol is established through our nutrition, it is found in trans fats and animal fat. Trans fats or elaidic acid, is defined as a carbon within a molecule that has been transcended, commonly through hydrogenation of oils, making the trans fat “plastic like” within arteries and veins. Trans fats are found in margarine, shortening, cookies, and oil-frying. Animal fats, or saturated fats, are found in milk, butter, cheese, ice cream, meats, poultry, pork and fish. Although we need a certain amount of meats for vitamin B and fish for Omega-3, they should be consumed in small amounts 3-4 ounce (84-112 g) servings, twice a day. Walk 30-60 minutes five times a week for a total of 2 1/2 hours per week. Walking twice a day for 20-30 minutes each time will increase your metabolism, strengthen bones, muscles and keep your heart pumping…increasing the HDL cholesterol, which removes LDL cholesterol from your arteries. Consume foods that increase HDL levels: Extra Virgin Olive Oil, Canola and vegetable oils, Walnuts, Fish and fiber, which are Fruit and Vegetables . Shoot for a total of 4 1/2 cups servings a day of fruits and vegetables. Please refer to: Daily Serving Guidelines. Beverages that assist in increasing HDL levels: Cleanse your body with water and lemon water throughout the day. Wine and alcohol in moderation; 1 glass for a woman, 2 glasses for a man. Savory Seasoned Sirloin is high in Vitamin B, Omega 3, Potassium and Potassium. Fantastic dinner anytime! Suggested Salad for a Surf and Turf meal included at end of recipe. Combine in a bowl all salt pepper, mint and thyme. Place Sirloin on a plate, rub seasonings into meat slices on both sides. Set aside. Place skillet on medium-high heat. Add olive oil, butter, sliced onion and sliced portabella mushroom. Remove vegetables from pan place into a serving dish and set aside. Allow to cook covered for 2-3 minutes. With fork turn meat to other side and cook another 2-3 minutes. Burrata is a luscious Italian cheese made by mixing cream and unspun mozzarella curds together, having the consistency of Ricotta/Cottage Cheese. The mixture is then inserted into the center of fresh smooth mozzarella, making a ball. A nutrient rich recipe, packed with Calcium, Vitamin B, C & D, Omega 3 and an assortment of minerals. Burrata can be found in some supermarkets (Krogers, Fresh Market and Trader Joes) or at specialty foods shops and at Italian markets. 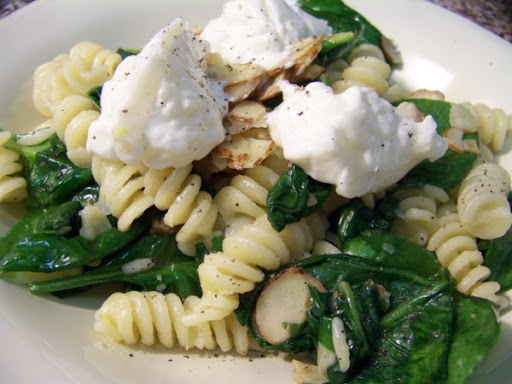 Substitute fresh mozzarella for this recipe if you can not find Burrata. Cook pasta in large pot of boiling salted water until tender but still firm to bite (9 minutes), stirring occasionally. Meanwhile, melt butter with oil in heavy large skillet over medium heat. Add garlic; sauté until soft, about 2 minutes. Reduce heat to warm. Add lemon juice and lemon peel. Drain water from pasta. Add pasta back into a pan. Place spinach and almonds a on top of hot pasta. Pour hot lemon mixture over spinach. Toss until spinach is wilted, about 1 minute. Divide pasta among plates. Top with burrata cheese, sprinkle with salt and red pepper flakes, and serve. More great Information on how to improve your skin. Understanding Triglycerides in the correct amount The body needs a supply of two types of lipids/fats that circulate in our blood stream: triglycerides and cholesterol. Triglycerides are made in the liver and stored in fat cells, playing a key role in energy for muscle function. While this article in brief, takes a closer look at triglycerides it is equally important to keep its partner in mind, cholesterol, which is key for muscle cell membrane and making of hormone’s. The liver builds triglycerides by using a glucose (sugar) with three fatty acids attached to it, however they can be made without food consumption as well. After triglycerides are built, they can be stored in the liver, or sent to and stored within muscles. Energy for all parts of the body. Insulation to help keep the body in homeostasis (balance of temperature). Provide adequate nutrition when we are sick, delivering fat vitamins (K, A, D, E). Cause and Effect: The calorie is a measurement of heat energy. Carbohydrates and proteins contain only 4 calories per gram. Fats contain 9 calories per gram, thus providing the body with more than twice the amount of energy as sugars and proteins. Triglycerides are the most concentrated form of energy found within the body, producing more than twice the amount of energy per gram than other forms of energy (protein and carbohydrates), which is why the body can store large amounts of triglycerides. Clearing up the confusion: Keep in mind that triglycerides are stored in fat cells and some muscle cells. 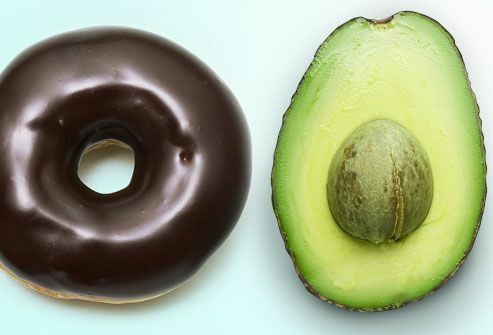 While your body prefers to use fat as the main energy source, it should represent less than 30 percent of your diet. High-fat diets leave you at risk of obesity. Your blood value must be <150 (less than 150). More than 150 puts an individual at risk. An excess of triglycerides causes fat buildup in the liver and around the muscles, causing an increase in body fat percentage. Triglycerides are the most common type of fat found in your body and blood plasma. The body absorbs and uses all the energy consumed from food eaten throughout the day, getting rid of anything it cannot use turning it into triglycerides, storing them in your fat deposits. As a body takes in more food than it can store, the unused food is stored as triglycerides in lipid cells, the more that this happens, the bigger the risk for the build up in the system, placing the individual at risk for diabetes, strokes and heat attacks. Foods to eliminate in dietary intake in order to reduce triglyceride levels are: Alcohol, Dairy, Pork, White Breads, Reduce Red Meat to 3 ounces twice a week. Include these foods for improved Triglycerides Cholesterol and Triglyceride Reducing Foods and learn more about how to balance your meals by following Dietary Serving Guidelines . Increase Fish: Salmon, Anchovies, Sardines, Herring, Mackerel intake 4 times a week to improve quality of Omega 3 (healthy fat) and protein. By introducing fish into your lifestyle, the body responds to a fat that is easier to break down with protein that the organs need in order to have improved function. For fiber include 4 servings of Fruit and 5-7 servings of vegetables a day. Quality of vitamins and minerals is critical to a reduction of unwanted food that would otherwise by stored as triglycerides in fat (lipid) cells. By doing so you can keep your HDL Cholesterol >70, the LDL Cholesterol <120 and Triglycerides <150.